I am not any good at carving pumpkins. I’m not exactly an artist either when painting pumpkins. This idea had me at puff paint! 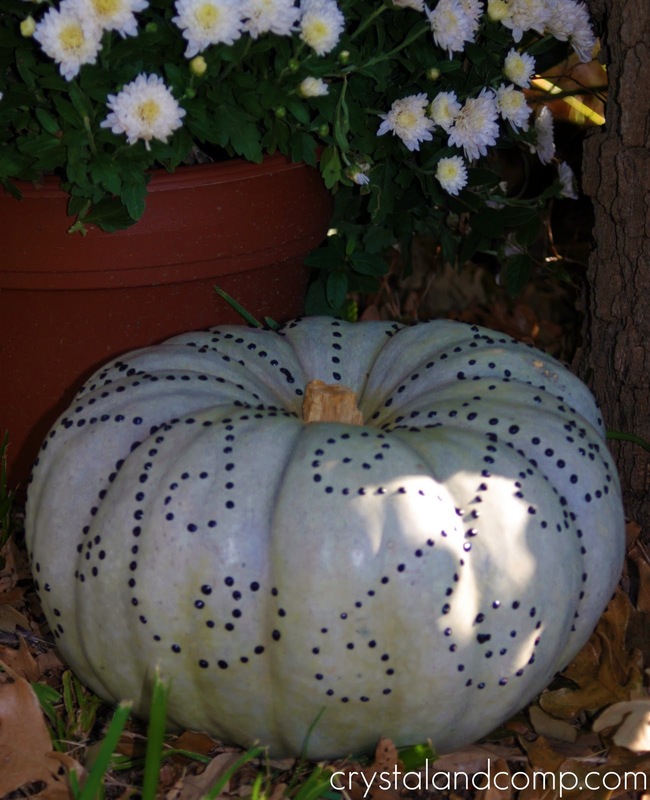 And I love the unique beauty in a white, short, plump pumpkin. Couple it with your best free handed Henna design and you’ve got magic! Easy does not even explain it! 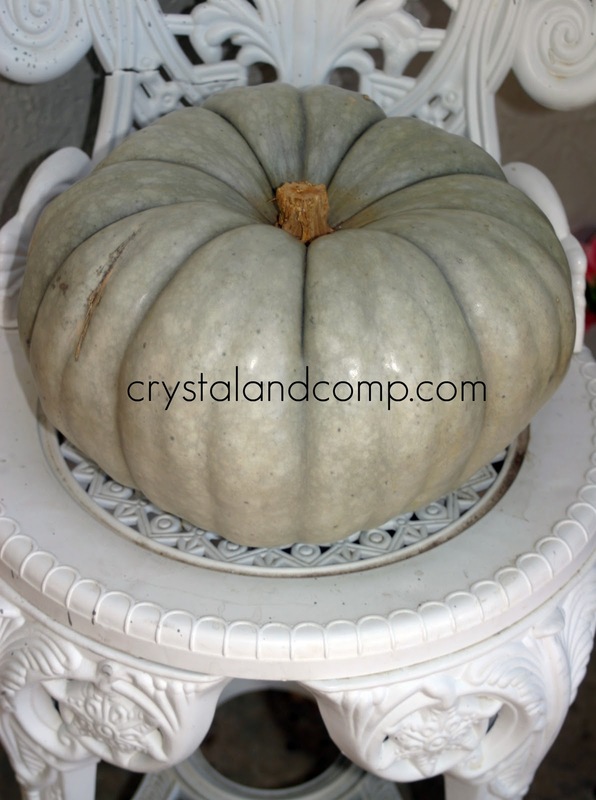 And, you can purchase the faux pumpkins and reuse it year after year! How easy is that!? You love it, don’t you? Great minds think a like! I have't gotten to it yet, but I bought a white pumpkin to do something very similar to, except I'm planning on using black rhinestones instead of puff paint. Love this idea!! great way to recyle my left over hair henna!! Thanks guys! It is so simple to make and really was so much fun! I love this! I’m not big about Halloween decorations, but this I could do! 🙂 Thanks for sharing. That’s a great idea, even I could do it!! I do love it, Crystal! I saw some of these done with rhinestones in a catalog for a ridiculous amount of money and have been thinking about a DIY alternative ever since! The puff-paint idea is the best I’ve seen so far!! Thanks for sharing! This idea had me at puff paint! http://www.cheapruns.com And I love the unique beauty in a white, short, plump pumpkin. Couple it with your best free handed Henna design and you’ve got magic! Cute! I really like how that turned out! I’d be so excited if you’d link it to my pumpkin craft challenge at One Artsy Mama! gorgeous! puff paint is just about one of the best craft supplies around, great for so many things. thanks so much for sharing on Craft Schooling Sunday! This turned out great! I would love for you to link these up to My Favorite Things Halloween Party going on all month! I hope to see you there! How fun and EASY!!!! I love your idea! Love what you did, I have had a little addiction to making over pumpkins lately, check out my blog to see some of them I have made over. It gets a little addictive. Gorgeous, great job ! It turned out so nice! I love to henna and I love this idea!! Very cute and creative!! Very cool looking I am a follower of your blog on Facebook and would love if you could pop over to my new blog http://sarahsaturdiy.blogspot.com/ and share the blog love! LOVE THIS!!! Can’t wait to try this!! Love this!! 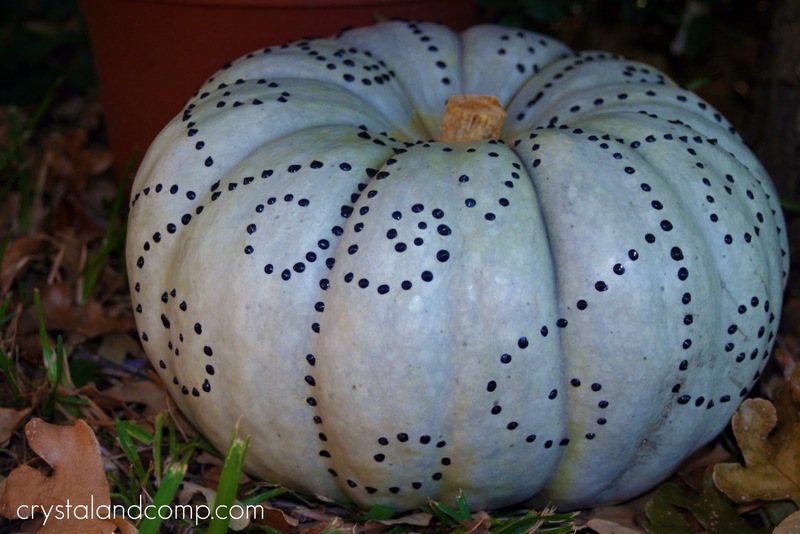 So fun and unique for Halloween and the fall. I hope you will come by and link up to my Wickedly Creative Halloween Ideas Party. So glad to have you Courtney! You did an awesome job. Cool pumpkin!